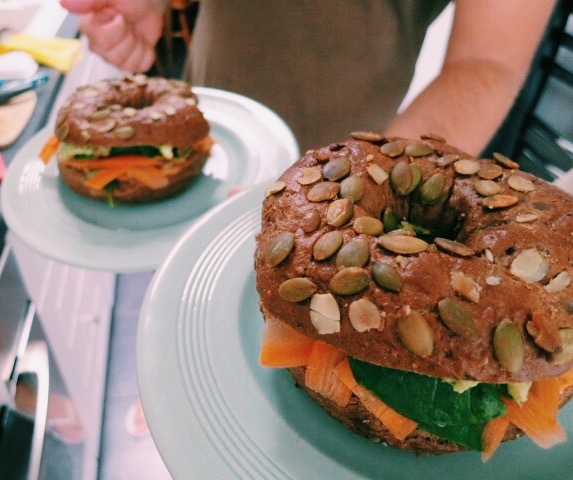 This powerhouse vegan bagel stack was thrown together with all the leftover bits in my fridge, result! It was what we call in our house, a ‘cobbler’. Combining smoky peri-peri hummus, smashed avocado, fresh basil leaves, shredded carrots, toasted pine nuts and baby spinach. It turned out absolutely divine. This is a real vegetarian vitamin hit and is super filling. 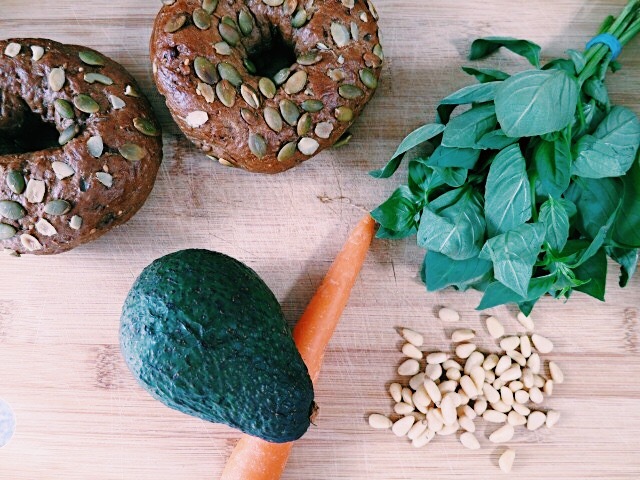 Not forgetting to mention, all this is quished together inside a toasted rye & pumpkin bagel. I’m salivating at the thought! Now, whilst I eat predominantly plant based any way, I don’t go out of my way to vegan-ize (sorry!) 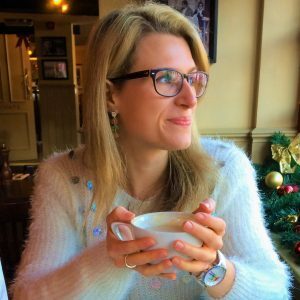 .Still, it’s always a little extra bonus to know you’ve managed to avoid all animal based products whilst creating new meals in the kitchen! Add to that I was using up supplies to avoid waste, you’ve got yourself a real all-round eco lunch. After enjoying this tasty lunch I went on to the club and played tennis for HOURS. Even after all the running around I did on court, I didn’t feel hungry in the slightest. So that breaks any pre-conception you might have that vegan food isn’t as filling. I’m no expert at vegan foods, but I find if I load up a meal with lots of healthy fats like those found in nuts & seeds it does the trick. Not only does it add extra crunch and flavour, but it keeps me full up for longer. I was hoping to use my own grown basil by this time, although it’s all gone to seed, so I got a fresh bunch to use. Not going to lie, I was tempted to call this my own grown but I’m a terrible liar! 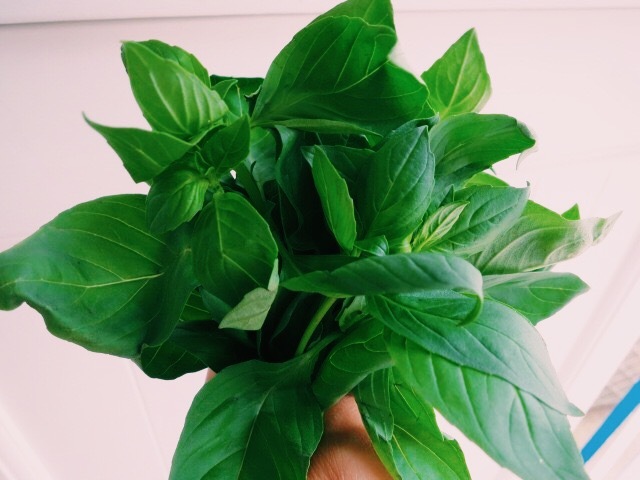 Basil is definitely one of my top herbs to use, it’s great on pretty much everything. Just Say No To Packet Sandwiches! I’m trying to vary my lunches at the moment, as I am on a bit of a post-holiday health kick. I have had so many salads that this vegan bagel stack was a welcome change to the normal fare. Also, if I was going out to the sandwich shop I would have been very tempted to have something filled with cheese. Think I made the right call for my healthy eating plan to stay home and prep this. I’m sure you’ve had those moments where you think another boring pre-packed sandwich just won’t do! You can change up the flavour ideas as much as you want in a recipe like this. 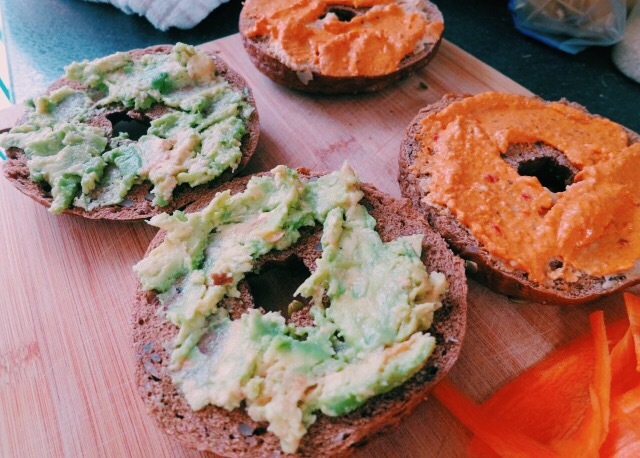 I used a spicy peri hummus as a base on one side, with the smashed avocado on the other. However, if you aren’t a fan of spice you could always opt for plain hummus and put some time into seasoning the avocado instead. I usually would dress it with lemon, black pepper and coriander. This time around I left it plain as I had a lot of other flavours going on already.